It’s National Soup Month, so we had healthy versions of your favorites all week. 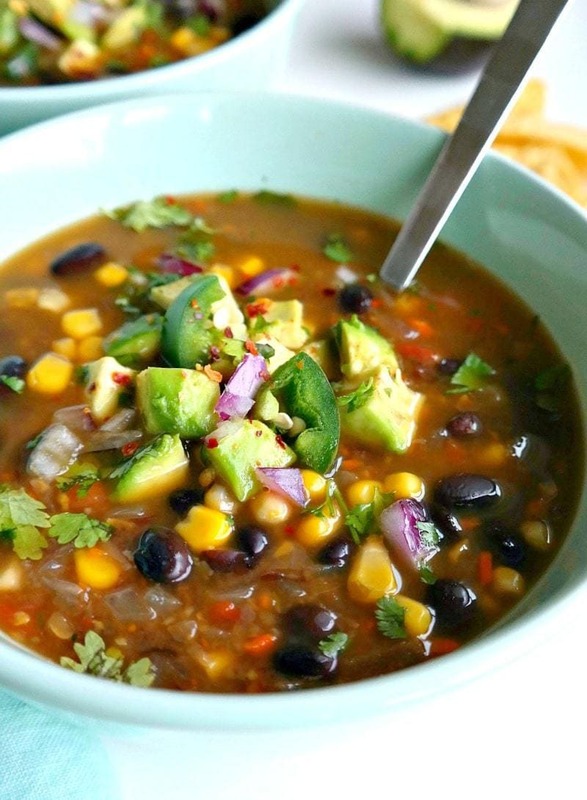 Try this Spicy Vegan Black Bean Soup for Meatless Monday. Whip up Chicken Zoodle Soup that’s perfect when you’re under the weather. 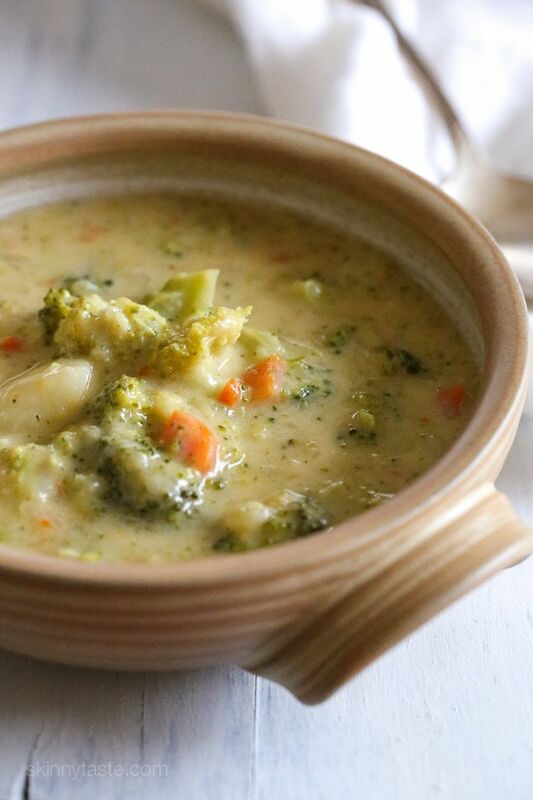 If rich soups are your favorite, try this lighter Broccoli Cheese and Potato Soup. Make the childhood classic Tomato Basil Soup fresh at home. 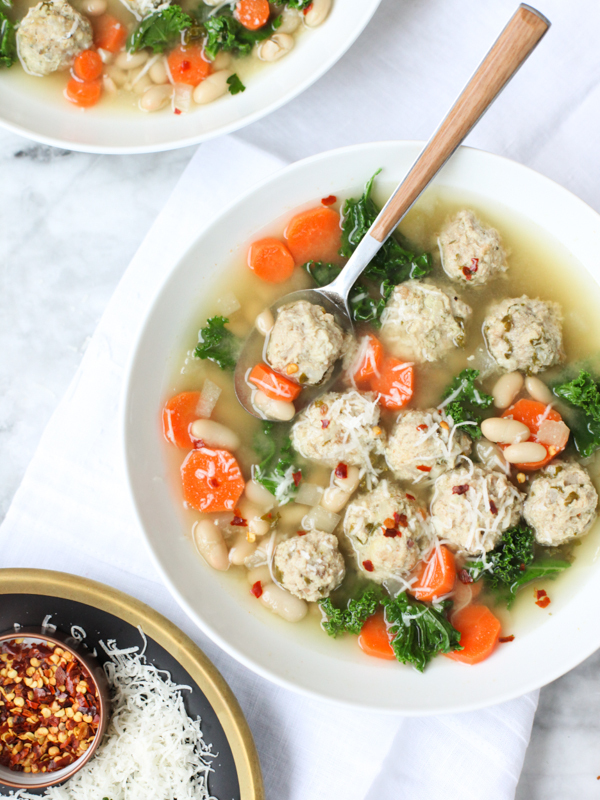 Make Slow Cooker Kale and Turkey Meatball Soup for your comfort food cravings. Craving takeout this winter? Try this Green Chile Chicken Enchilada Soup instead. 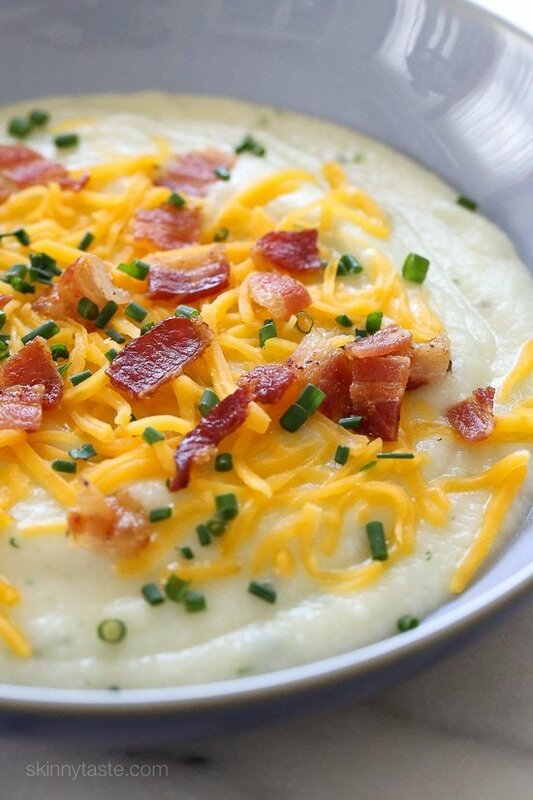 This Baked Potato Soup feels like a splurge, but it isn’t.